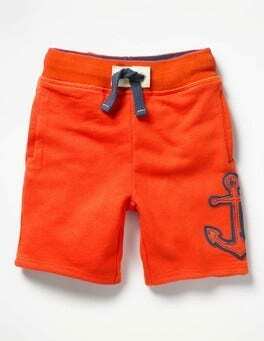 These brightly coloured shorts are just waiting for a fun day at the seaside. The stretchy waist gives them a relaxed fit so they're easy to wear all day. We’ve also made them with a hard-wearing fabric that's perfect for clambering into boats or building sandcastles on the beach. Bucket: check, spade: check, nautical themed shorts: check. Be the best-dressed kid on the beach with these fun appliqué designs. 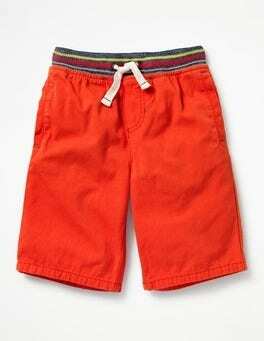 The shorts sit just above the knee, so they're perfect for paddling. And they're easy to pull on and off, when it's time to go for a dip.